Wide eyes, beautiful singing, delicious food, busy traffic, different cultural experiences, and unfamiliar sights, smells and sounds were some of my experiences while visiting schools and meeting with Lutheran church and educational leaders in northern Sumatra on the recent Australian Lutheran principals and teachers trip there. It has been good to take time to reflect on the trip and to consider the personal, spiritual, and professional impact. 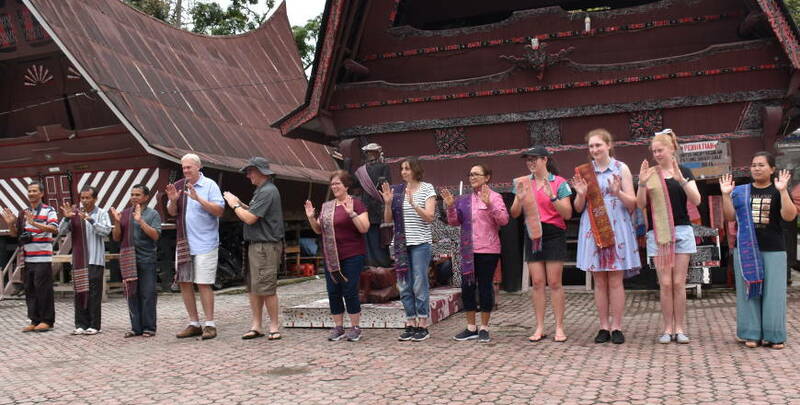 Personally, the generosity of the schools and churches was humbling as they welcomed us, fed us, invited us to watch and participate in music and dance performances and present us individually with gifts of the traditional, woven Ulos. 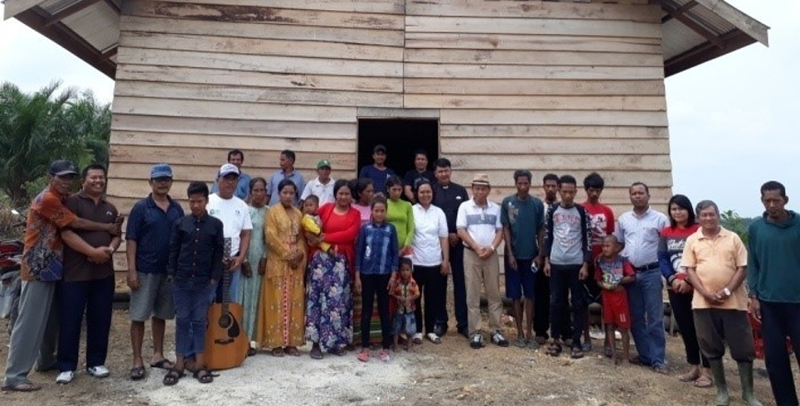 The wrapping of the Ulos around us was symbolic of working together with the Batak people, the strength of us being as one with them as Christians, and being accepted into their culture. Spiritually I was thankful for the visit as it caused me to reminisce some 40 years back to a time when I was doing teacher training and visited Papua New Guinea. As a young person, I saw the faith in God openly expressed by the local people. This gave me a resolve to seek where God was leading and be strengthened in my faith – in fact it led me to work cross-culturally overseas with my husband. Here I was again, 40 years later, in an overseas country feeling deeply touched by the words, prayers and worship of the Indonesian students, teachers, and church leaders. Principals are keen for students to be strengthened in their faith and for their schools to be highly regarded. 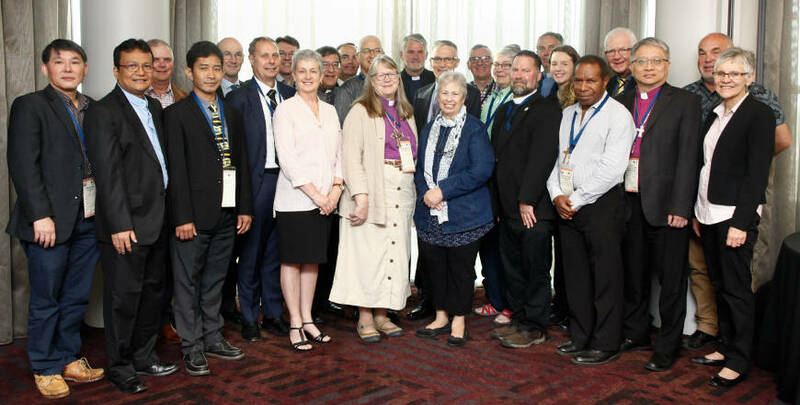 Church and school leaders are keen for partnerships to be developed with Australian Lutheran schools. I felt grateful to God that I was being ministered to and feeling connected with people I had only just met, but who together with me shared in God’s grace and love. This visit was a challenging professional experience which raised many questions. I saw the strengths in the simplicity and slower speed of village community life evident as the land was worked, meals were cooked and family members interacted. People seemed very happy and content. I observed and chatted with students in poorly resourced schools, who were eager to learn English and achieve a good education. Schools clearly were requesting help to be more competitive and attractive in order to be viable and provide a quality education with Christian values and teachings. 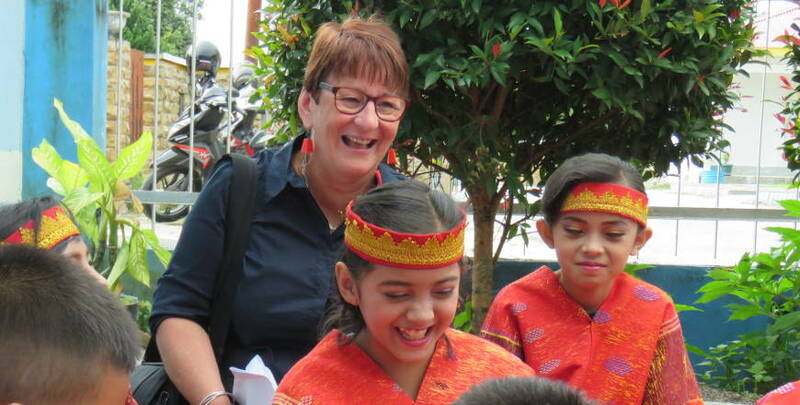 As I travelled, I considered how our school might work with an Indonesian school, what we might mutually share and offer to each other, and what role the local church has in working with the school. I also pondered how whatever is done, whether it be as partnership or similar, might be done in a sustainable manner with dignity and respect for all. 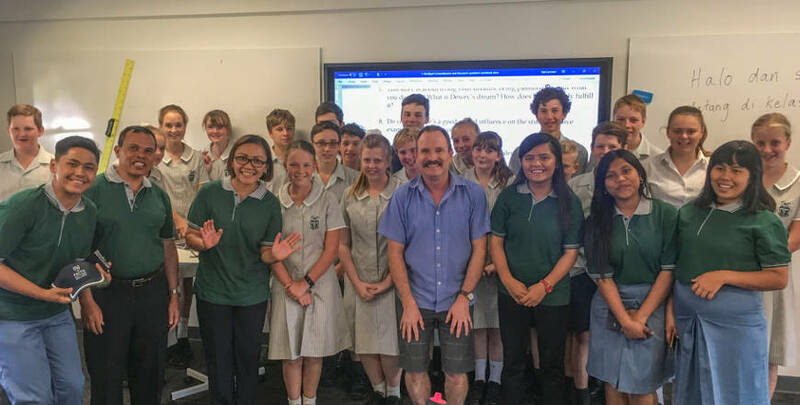 What might St Martins students learn by being involved with these schools/communities and how might we as a school support Indonesian teachers, students and communities? How might all of this be done in a culturally sensitive way? As our school looks at its vision and values, improving the wellbeing of students and focusing on aspects of positive education, I believe this visit was timely and I am truly thankful for the opportunity and insights it provided for me as a representative of St Martins. I am excited about the possibilities for the future. This story was also published in the August 2017 edition of Border Crossings, the magazine of LCA International Mission.